A Jet Airways plane is parked as other moves to runway at the Chhatrapati Shivaji International airport in Mumbai, India, February 14, 2018. 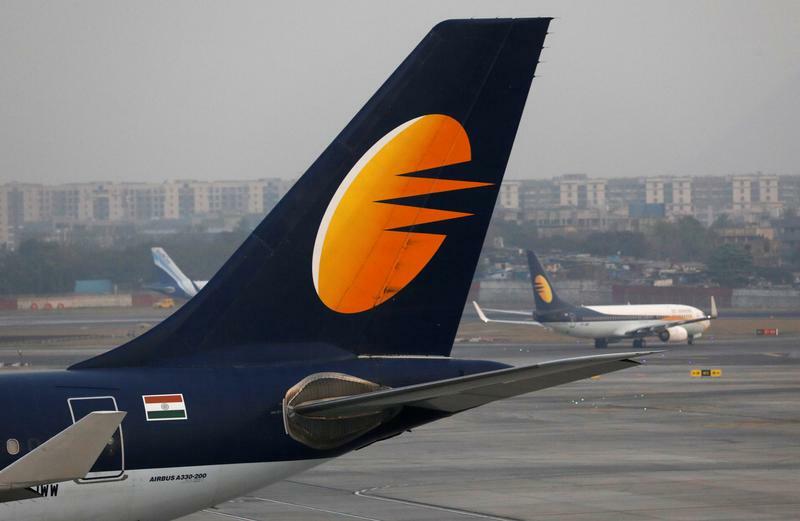 Jet Airways creditors delayed a deadline for initial bids to buy India’s private carrier until April 12, according to an April 10 filing from the State Bank of India. The country's largest lender is leading efforts to find a new investor for a stake of up to 75 percent in the airline, which owes banks more than $1.2 billion. The company, which has been missing debt payments since late December, has been forced, mainly by unpaid lessors, to ground more than three-quarters of its fleet. For the second time, Indian Oil Corp on April 10 halted supplies of fuel to Jet for a few hours over non-payment of dues, a spokesman for the refiner said. Hindustan Petroleum Corp and Bharat Petroleum Corp are supplying fuel on a cash-and-carry basis, which means Jet needs to pay at the time of purchase. Jet confirmed on April 11 that founder Naresh Goyal had pledged about 26 percent of his shares to Punjab National Bank. Goyal is the majority owner of Jet but most of his 51 percent stake has been used as collateral.